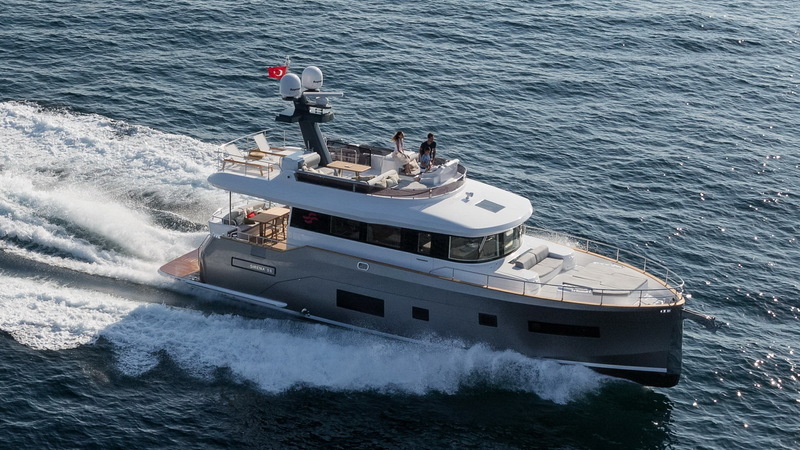 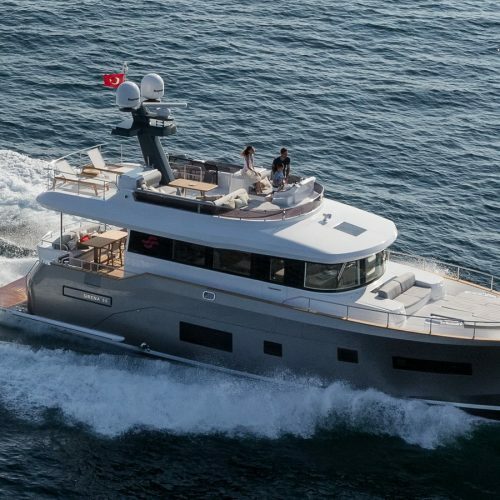 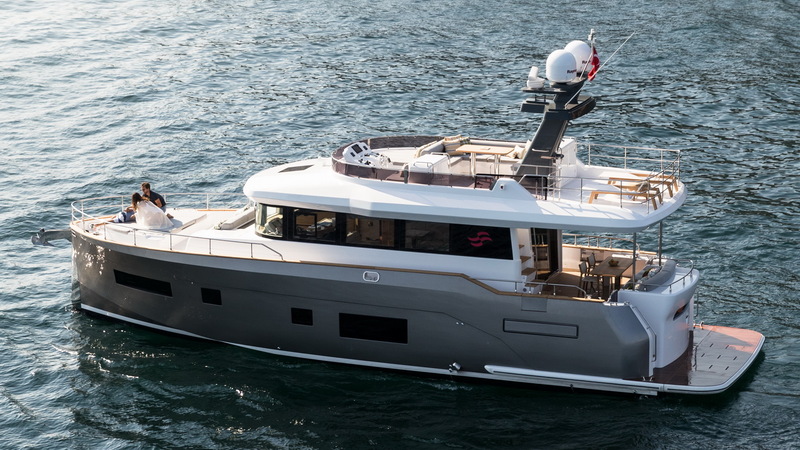 The Sirena 58 is second model in the Sirena Yachts range. 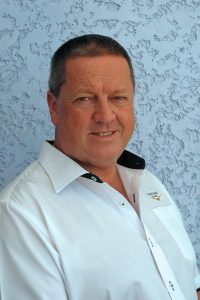 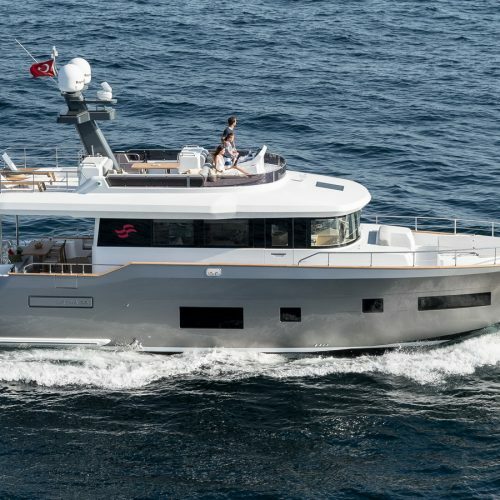 Like her predecessor the 64, she has benefited from the development of a hull underbody intended to be efficient, and to have best performance at a wide range of speeds, from displacement mode up to planning condition. 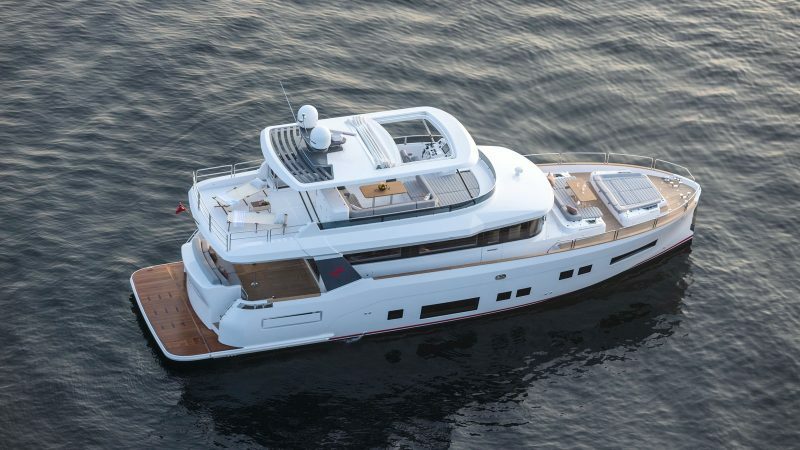 She will be able to go to all corners of the world, cruising in comfort and safety with low fuel consumption. 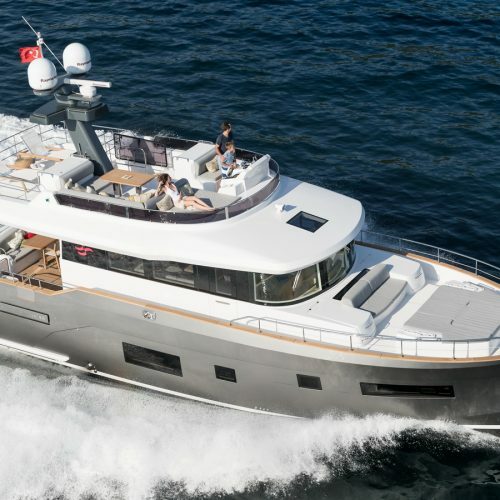 Aesthetically she shows the strong purposeful character of an expedition yacht having full headroom throughout, large uncluttered deck areas, large glass window surfaces and a fly bridge which it is larger than the norm. 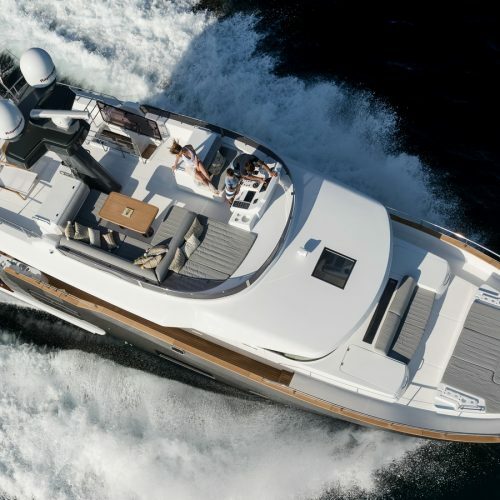 The volume inside the yacht is very impressive for a yacht of her size. 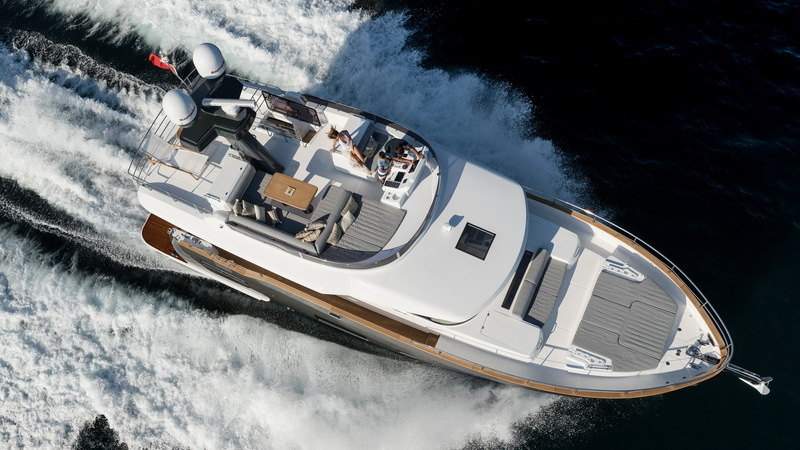 The joinery work built out of high quality woods and fabrics, offers several options available regarding interior layout to maximize the enjoyment of life at sea according to each individual need. 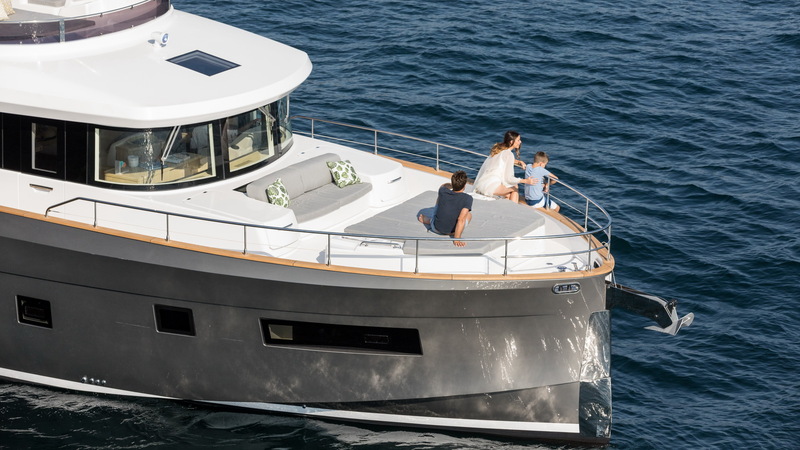 On the main deck the saloon is central and the close attention paid to ergonomics and use of the available space is also evident. 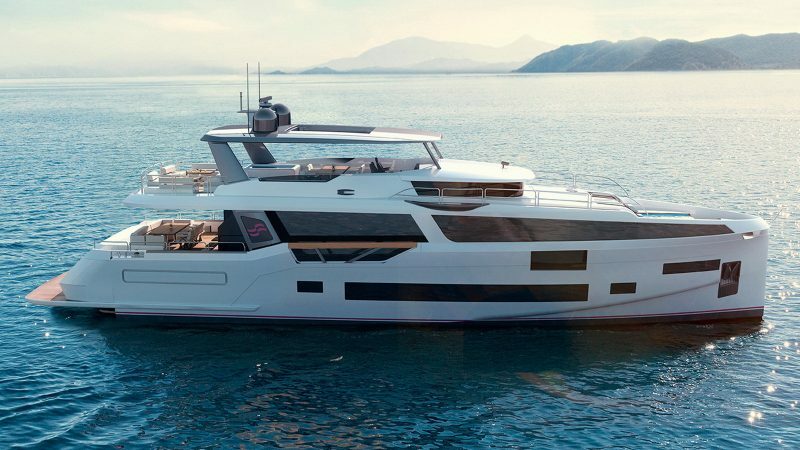 Having the galley located near the stern is perfect for setting the table in the cockpit thanks to the complete absence of steps, creating a single spacious area for both indoor and outdoor living. 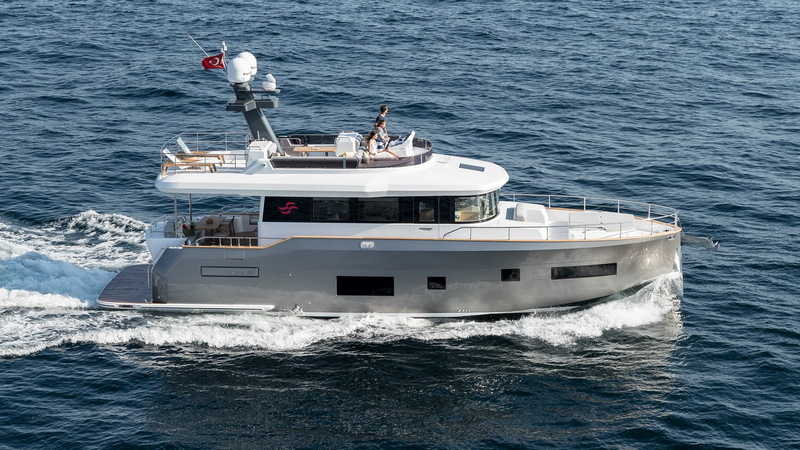 With the huge lateral windows running full length without interruption and another window on the cabin-top, an impressive amount of natural light permeates the interiors, bringing out the best of the contrasting colours of the oak and wenge woods. 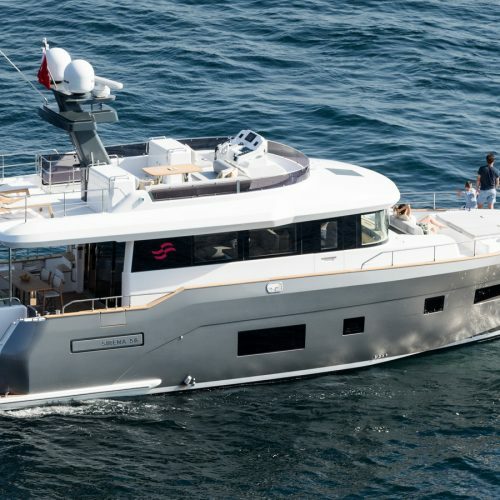 The Sirena 58 is available in a two or three cabin interior layout. 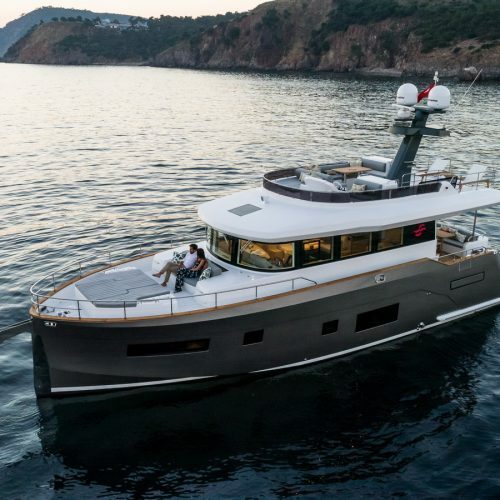 The two cabin layout has significant interior volumes, with a 16 square metre full beam midships cabin and an almost 20 square metre forward master cabin. 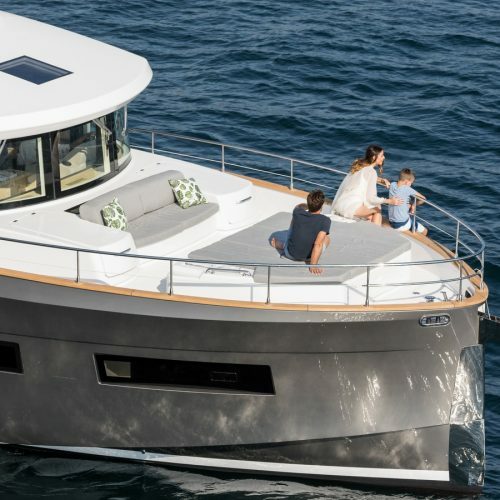 The forward cabin has direct access to the large living area on the foredeck, a design solution usually only found on much larger yachts. 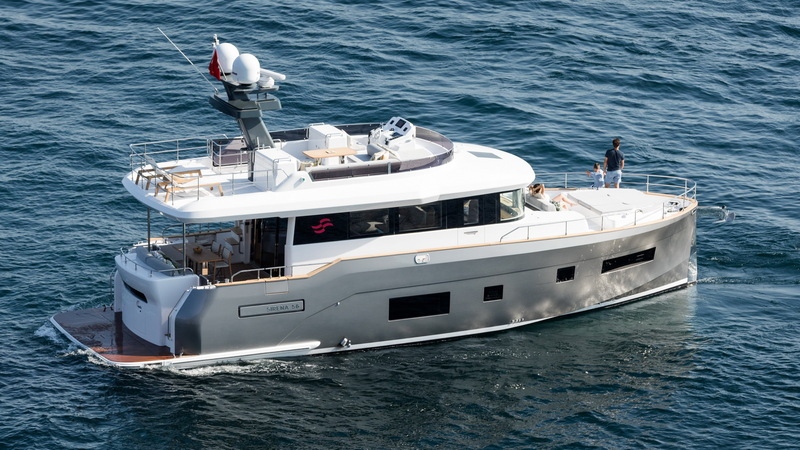 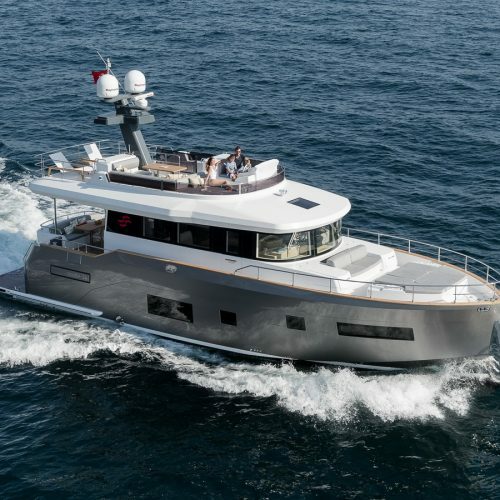 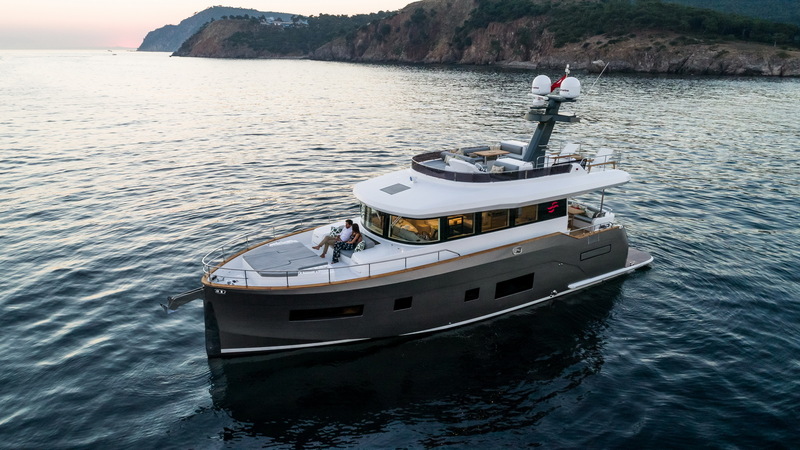 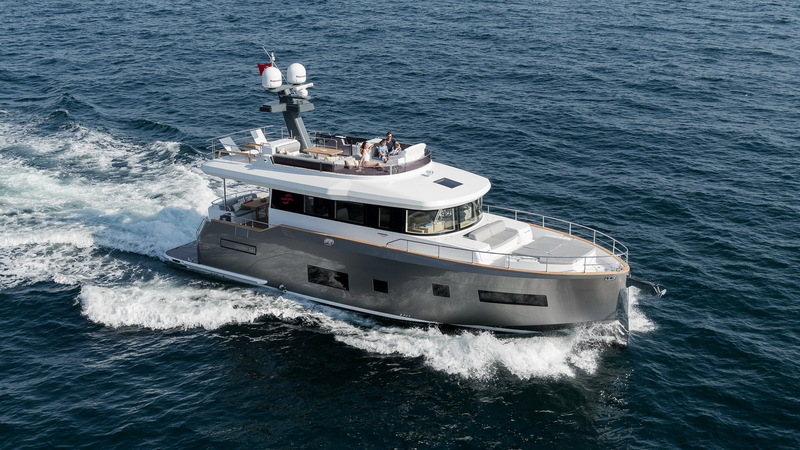 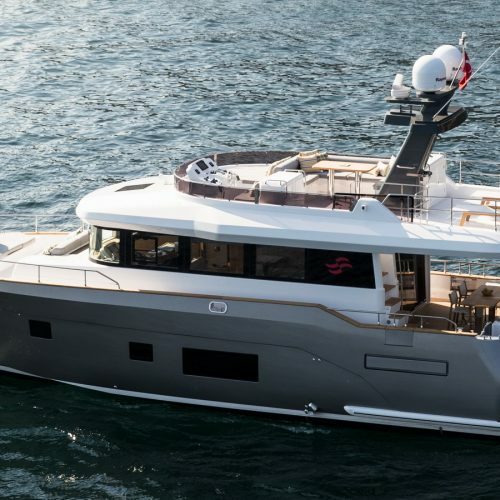 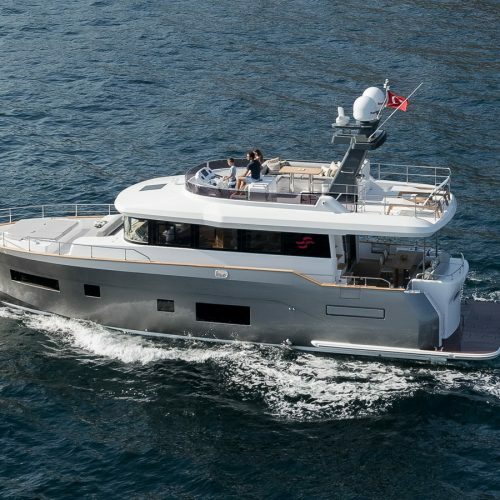 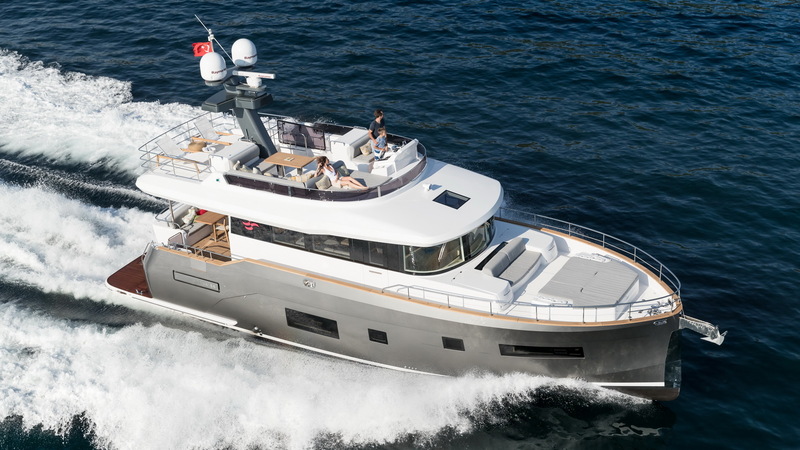 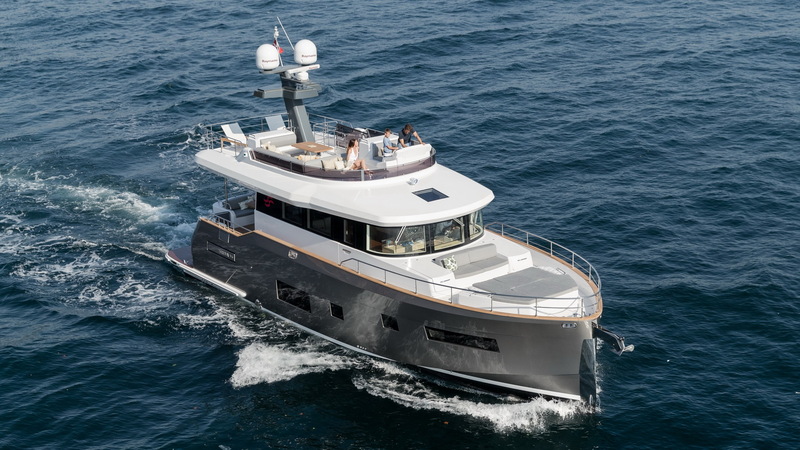 The Sirena 58 is also available in two different three cabin versions. 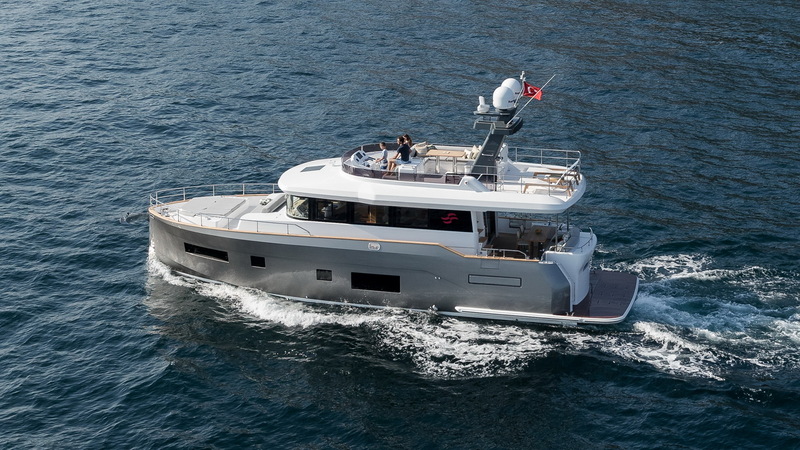 Retaining the forward master cabin the midships cabin can be divided into two cabins, all with en suite heads. 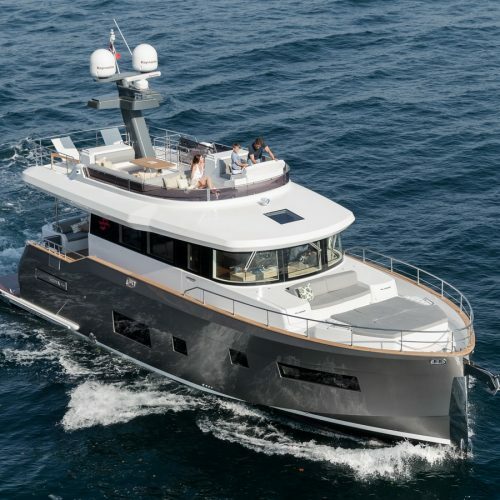 Alternately the midships cabin becomes the master and the fore cabin is reduced in size with no access to the foredeck and a twin cabin is added between the two larger ones and all cabins are en suite.